C.Gibson - What's in a Name? N.Stroud - Send in the Heavy Mob! 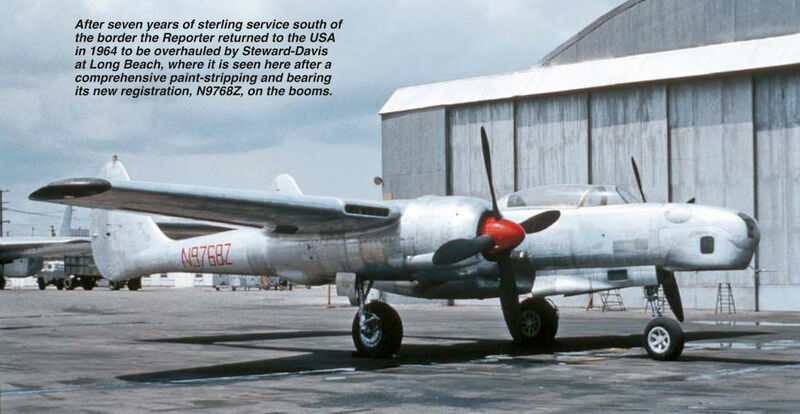 After seven years of sterling service south of the border the Reporter returned to the USA in 1964 to be overhauled by Steward-Davis at Long Beach, where it is seen here after a comprehensive paint-stripping and bearing its new registration, N9768Z, on the booms. 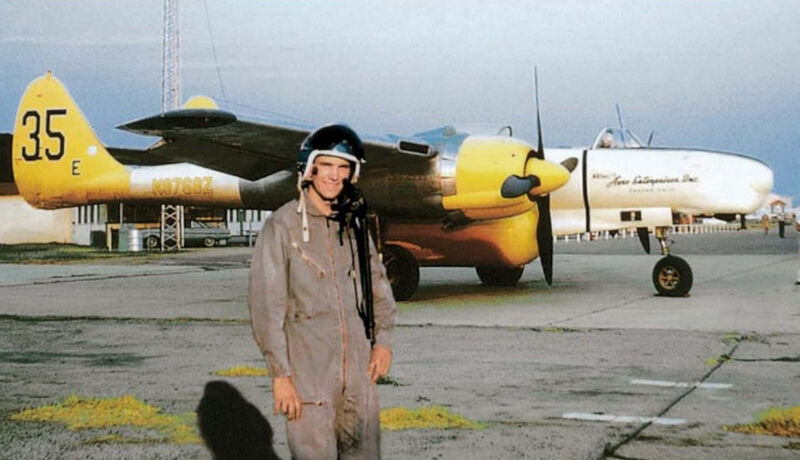 A pilot of Aero Enterprises poses beside the Reporter in its distinctive new colour scheme of yellow, white and bare metal in July 1964. Note the rather inelegant 1,600 US gal belly tank installed beneath the fuselage. 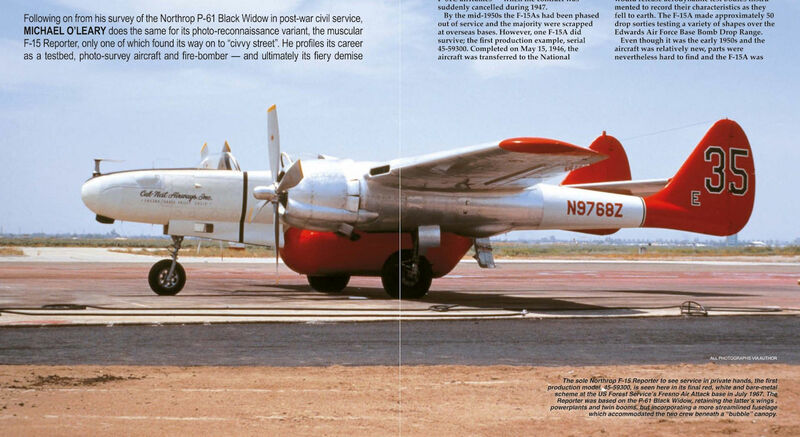 With power all the way up, the Reporter begins its take-off roll at Porterville, California, during August 1968, by which time the aircraft was operating with TBM Inc and the yellow parts of the colour scheme had been replaced with vivid red. The following month the aircraft’s flying career came to an end during a take-off accident. In February 1948 F-15A serial 45-59300 was sent to Moffett Field in California to test various advanced swept-wing designs by dropping recoverable aerodynamic test bodies from high altitude. 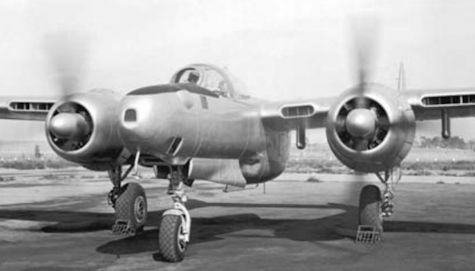 A P-61C, 43-8330, was also used in the trials and is now on display at the Smithsonian Institution’s Steven F. Udvar-Hazy Center. 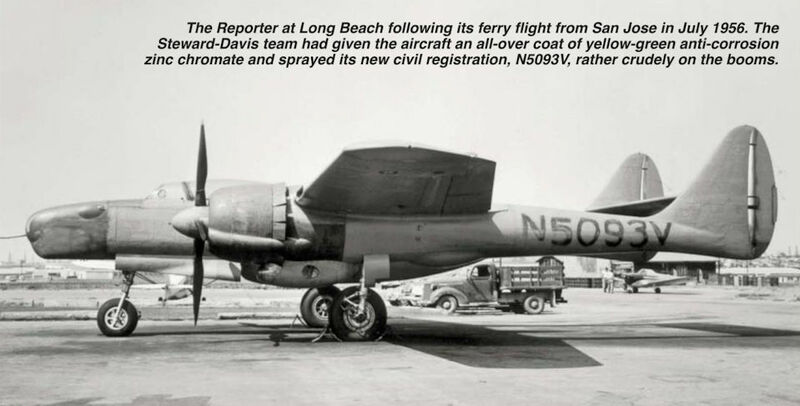 The Reporter at Long Beach following its ferry flight from San Jose in July 1956. 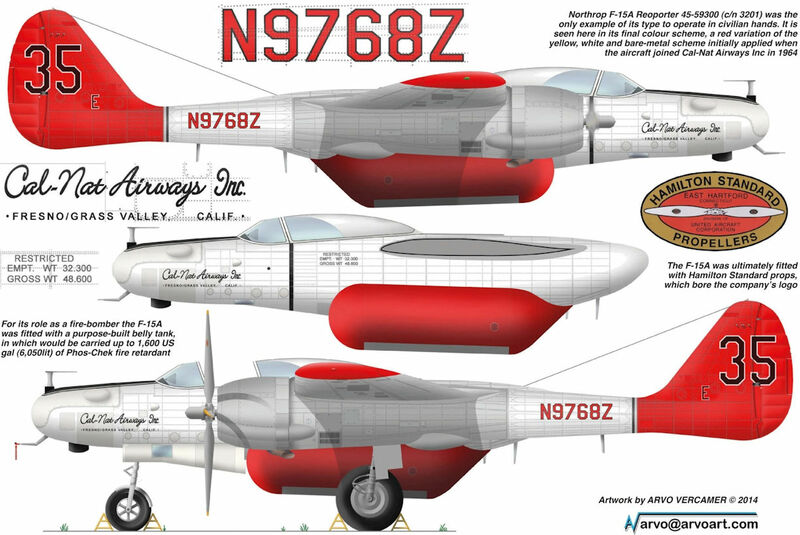 The Steward-Davis team had given the aircraft an all-over coat of yellow-green anti-corrosion zinc chromate and sprayed its new civil registration, N5093V, rather crudely on the booms. In late 1956 the F-15A was sold to a new owner in Mexico, Cia Mexicana Aerofoto, with which it served as XB-FUJ in a flamboyant red and white colour scheme. It is seen here awaiting another sortie in March 1957. 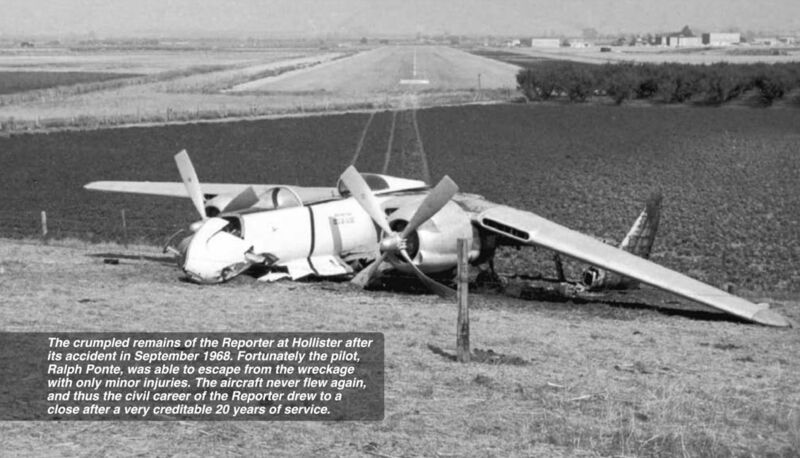 The crumpled remains of the Reporter at Hollister after its accident in September 1968. Fortunately the pilot, Ralph Ponte, was able to escape from the wreckage with only minor injuries. The aircraft never flew again, and thus the civil career of the Reporter drew to a close after a very creditable 20 years of service.